I started working with my grandfather, Marvin Fischer, in the late 70’s. 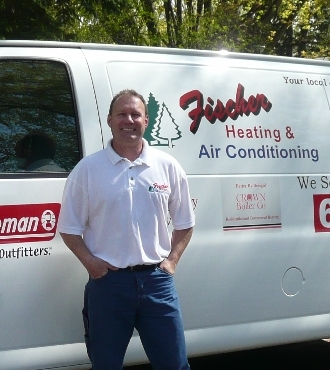 I worked with him for many years, he owned “Fischer Heating.” I attended trade school at the Hennepin Technical School. While in school, I worked for Metro Cleaning, which dealt with commercial grease exhaust, boilers, and HVAC, as well as residential furnace, boilers, ducts and dryer vents. I have been in business as Fischer Heating & Air Conditioning since 1985.